I am loving getting into my daily routine, and showing up ready to paint + work at my studio each day! 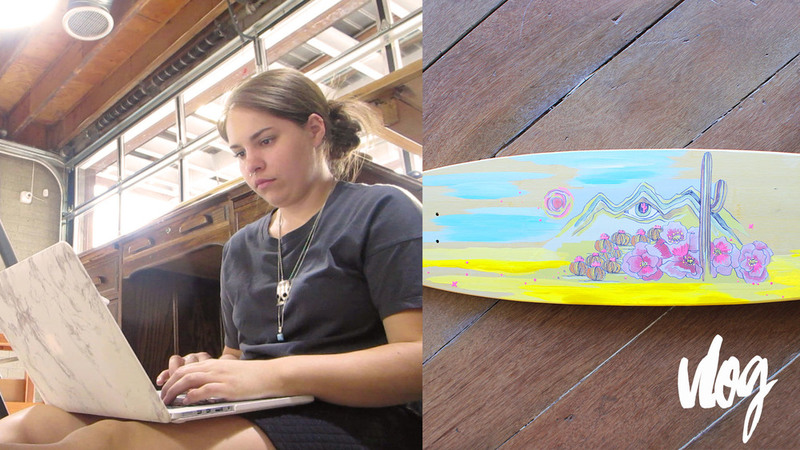 I was busy working on a watercolor piece for a styled shoot and painting a new longboard design. This longboard design is one that I had printed with my artwork in the wintertime. Since the image was standalone in the middle, I wanted to add hand painted elements to turn it into a finished piece! Thanks so much for watching guys! I'll be back in the studio this afternoon to start The 100 Day Project! I can't wait!